Blaze and the Monster Machines Party must have! 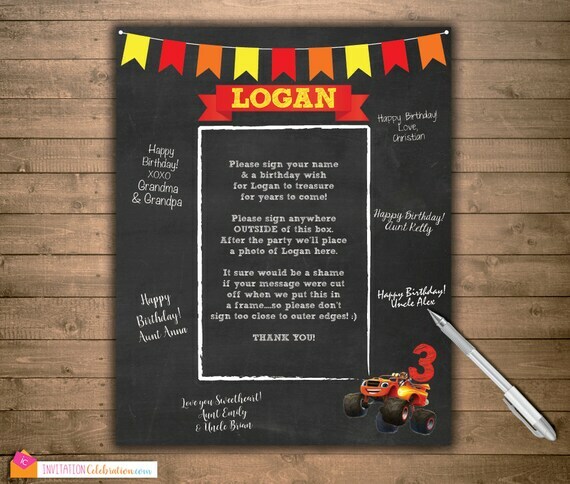 Perfect addition to your Blaze party for guests to sign a birthday wish. Afterwards just frame and display in child's room or memory book. This is something they will treasure for years to come.